How to protect customer data in business? With more companies adapting digital efficiencies, the challenge in preserving trade secrets, client lists and business operations becomes greater. In other words, there are higher confidential risks with storing sensitive material online or in a company database, especially if a company’s greatest asset is their intellectual property. Unfortunately, employees pose the biggest risk to company confidentiality by divulging ideas, digital records and other private information. 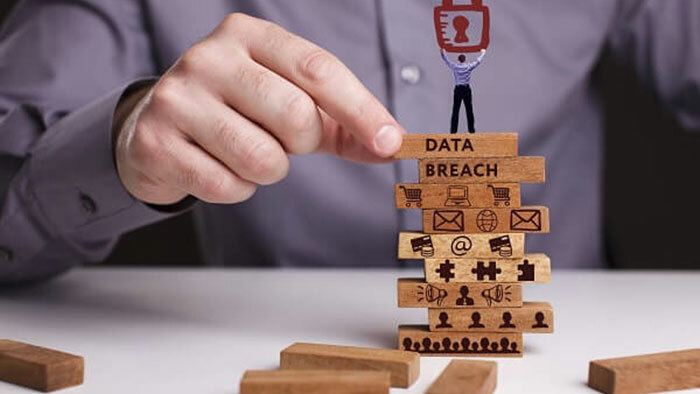 For this reason, there are some ways in which an employer can preserve the company’s integrity and reputation by proactively mitigating privacy risks in the workplace. By having new employees sign an employment contract with a confidentiality clause, they legally agree to keep confidential company information private. It also ensures employees will not compete with your business by partaking in similar business (referred to as “non-compete”), solicit other employees (“non-solicitation”) or reveal any sensitive information during or after their employment. Confidentiality training should be a key component in every company’s on-boarding process. These programs can be integrated as part of the employee handbook, through lectures or online training. In addition to teaching employees how to handle and dispose of sensitive material, include information about confidentiality laws and the legal repercussions of violating company privacy policies. As your company grows, keeping this material up-to-date becomes more important to maintain legal protection. Devise a response or contingency plan in the event confidential information becomes revealed. Plan for specific situations, such as published trade secrets or an employee divulging information to competitors. The more circumstances you cover, the more prepared you will be should confidentiality violations occur. After you have informed your employees of confidential policies, it’s important to generate a trusting relationship with them. Although this won’t provide any guarantees, it won’t make you any enemies — which can lead to mutual respect regarding company information. If you are concerned about confidentiality in the workplace, take proactive steps to protect your business through written agreements. And for extremely sensitive material, only permit access to those who you can trust completely.